Clara is the 2½ year old daughter of Ryan and Jenny Bragg. She has a 5 year old brother, Tanner, and the family lives in Hoover, AL (Birmingham area). She attends The Bell Center for special needs children and loves spending time with her family, particularly Tanner whom she adores. She was diagnosed with GM1 in August of 2016. Tanner is our little “TexaCaliBaman”- born in Dallas, TX before moving to Orange County, CA at the age of 10 months, then again to Birmingham when he was 3½. He’s a vibrant spirit who loves people, school, and playing outdoors be it tee ball or just running around at the park. He’s a great big brother to Clara and remarkably patient for his age with her constant desire to throw herself into (or on!) whatever he is playing with. Jenny was born and raised in San Marcos, TX. Upon graduating from San Marcos High School she continued her education at the University of Texas in Austin. There, she was a member of the Zeta Tau Alpha sorority and graduated with a degree in Communication Studies. Ryan was born and raised in San Antonio, TX. Upon graduating from Churchill High School, he joined the US military and then pursued a degree at Texas State University, where he graduated with a degree in Finance with honors while continuing his military obligations in the reserves. Jenny and Ryan’s relationship began in a rather unlikely fashion. In fall of 2002, while both were still working towards their degrees at separate universities, Jenny’s mother met Ryan at the Catholic Student Center at Texas State and proceeded to set them up on a date, and they have been together ever since. In August of 2005, Ryan and Jenny were married. While living in Austin in 2007, Jenny worked at the Texas General Land Office doing coastal conservation work and Ryan started his MBA at the University of Texas. His program was interrupted abruptly in late 2008 when he was deployed to Iraq for active combat duty. Upon returning from a year away at war, he finished his MBA program and accepted an offer from PepsiCo in their Frito Lay division that took the family to the Dallas area. 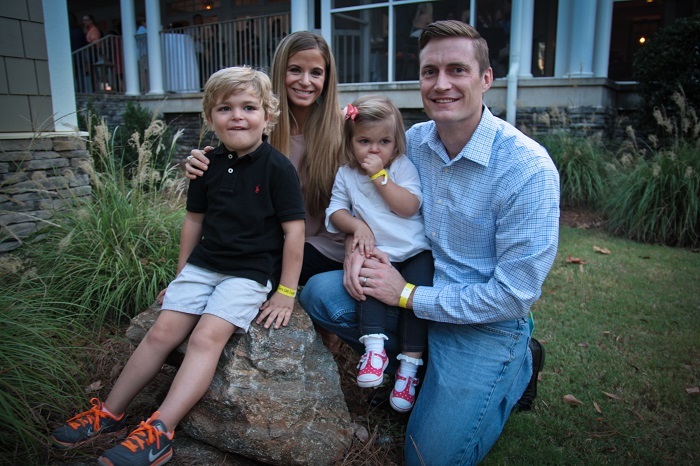 Ryan’s career has been the catalyst for the family moves from Dallas to Orange County, CA, and now to their home in Hoover, AL.